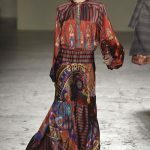 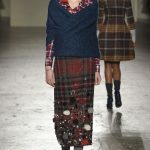 What didn’t stand out in Stella Jean’s fall collection? 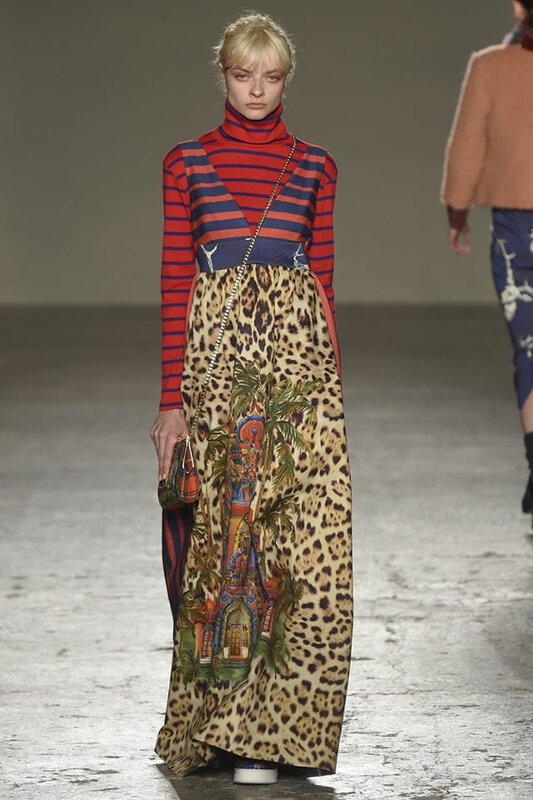 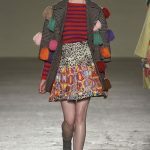 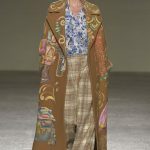 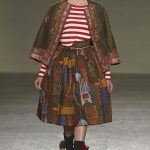 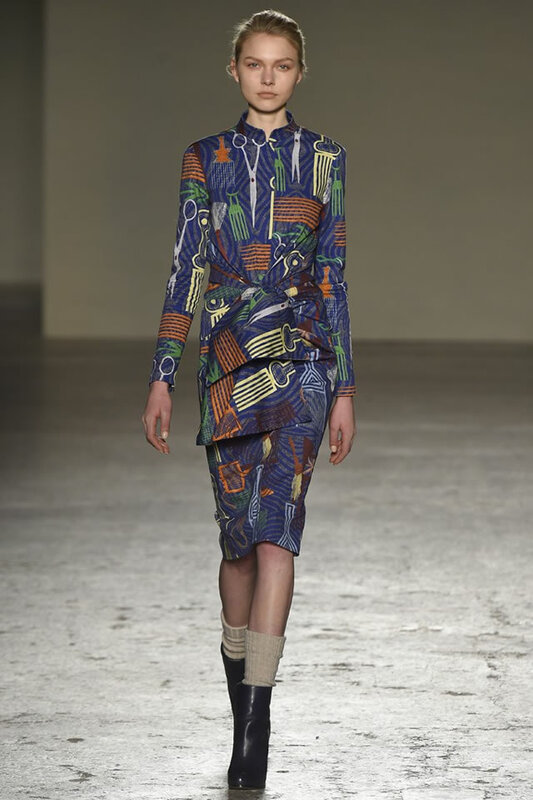 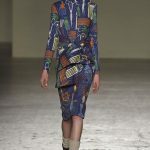 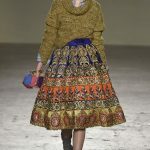 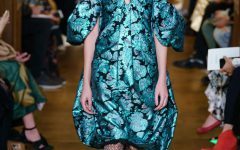 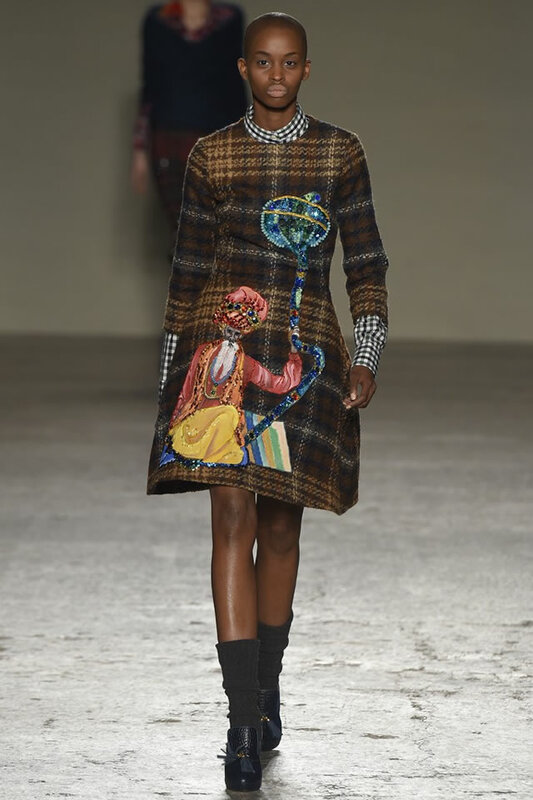 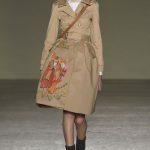 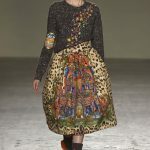 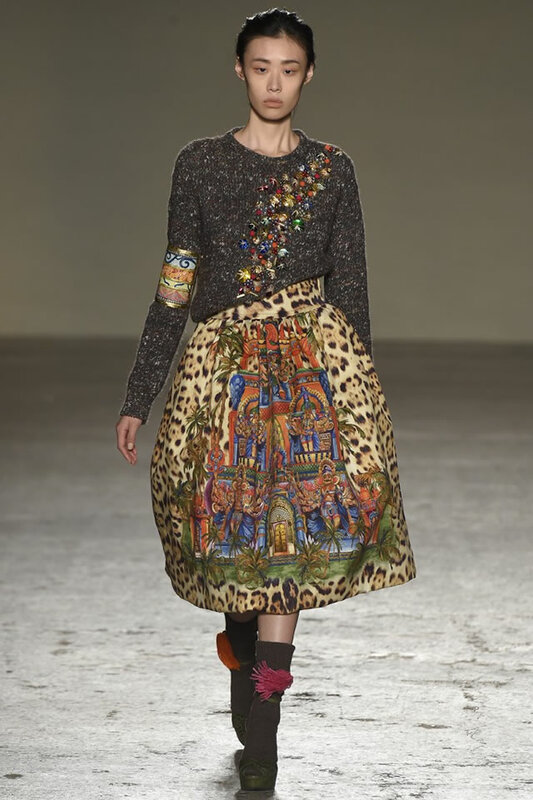 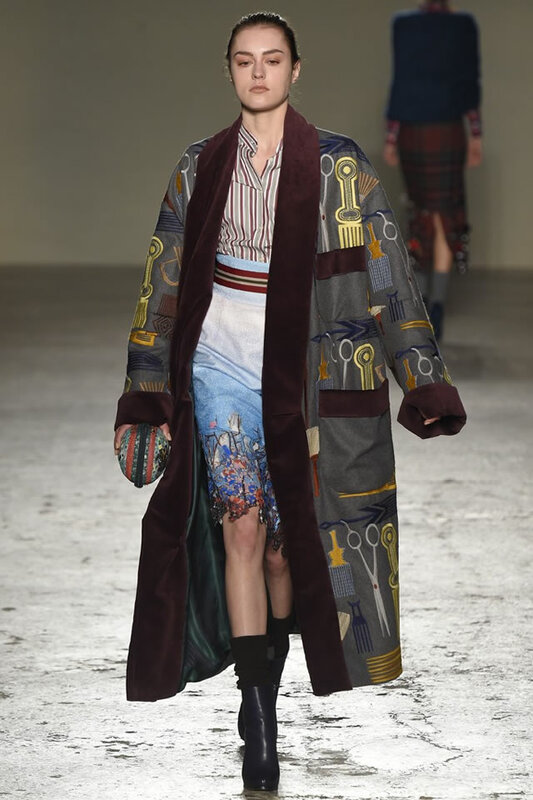 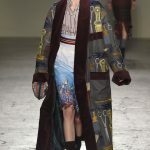 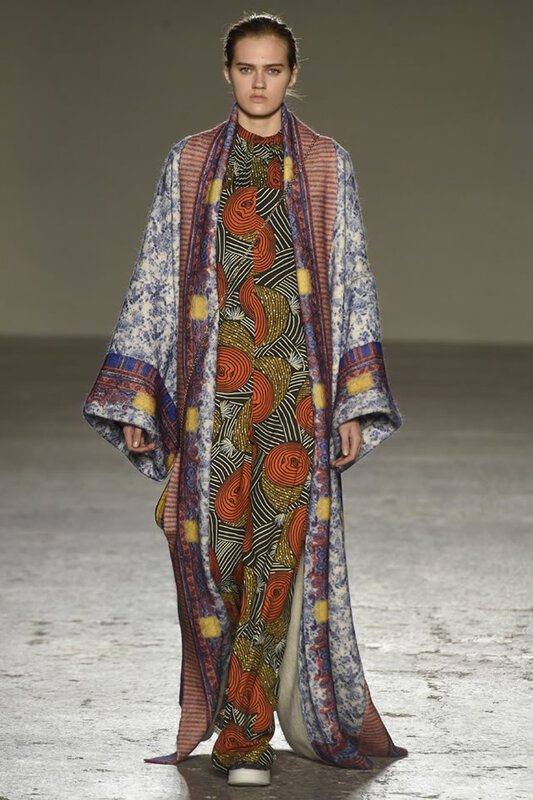 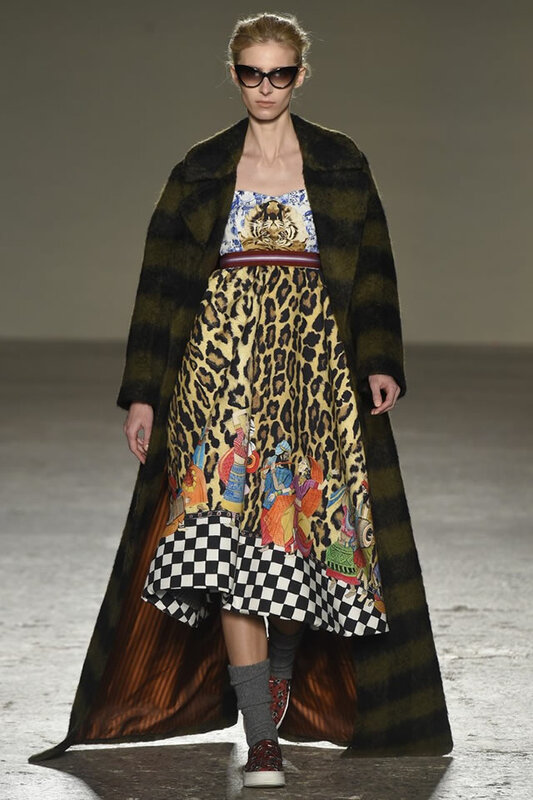 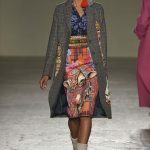 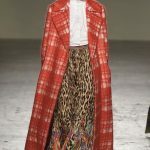 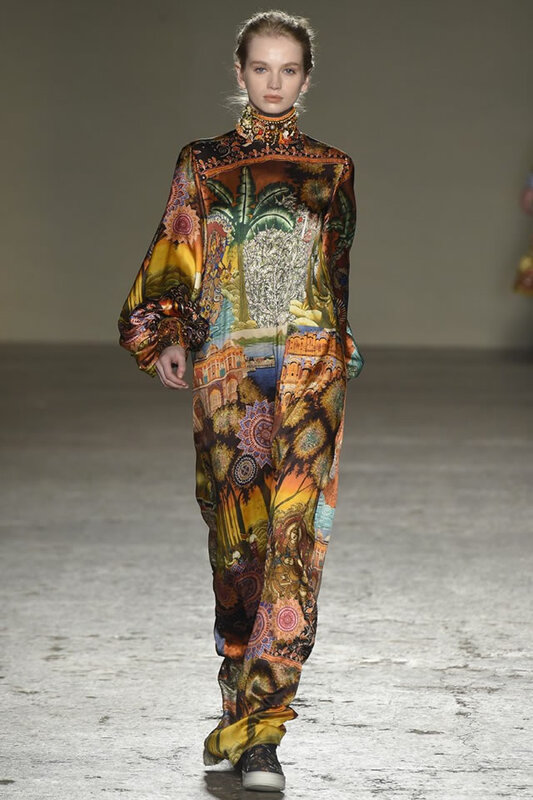 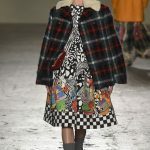 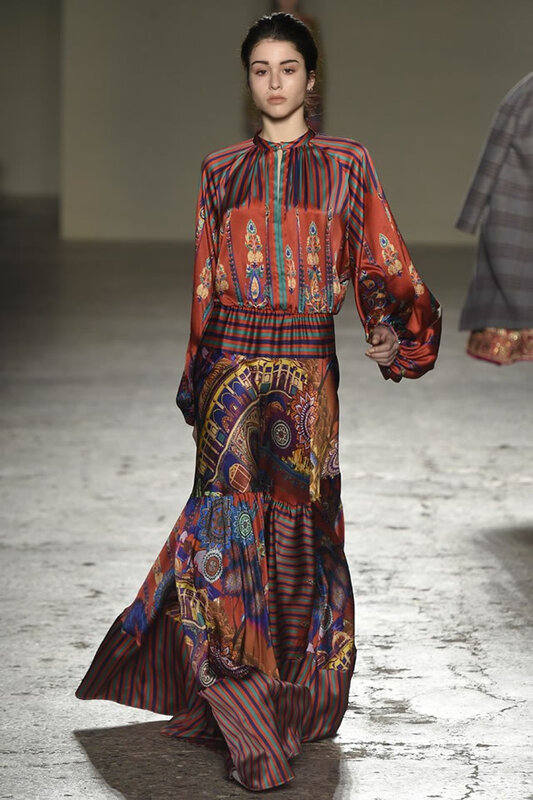 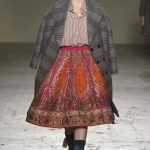 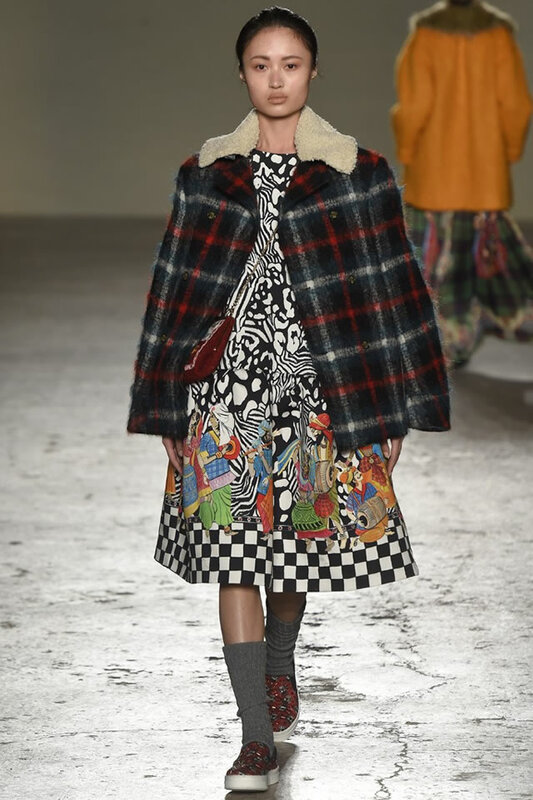 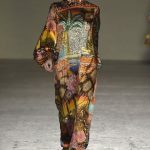 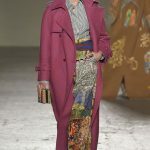 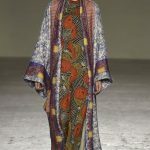 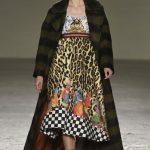 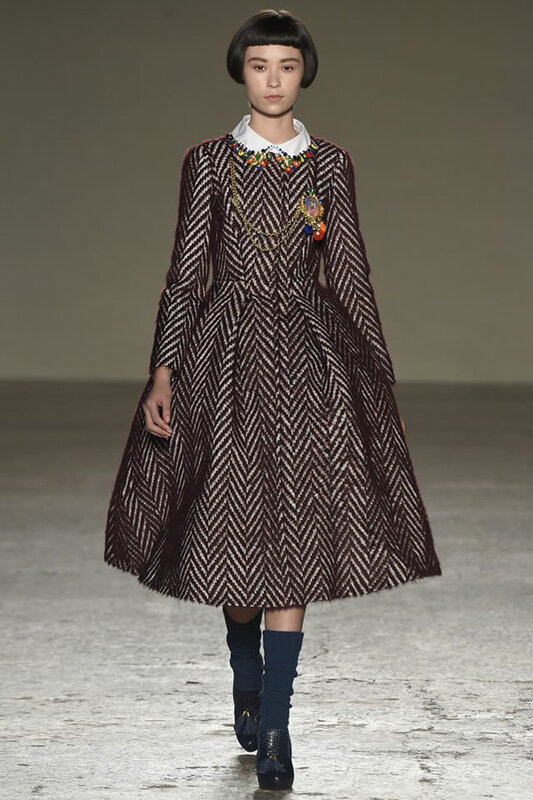 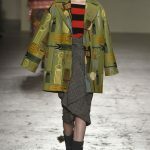 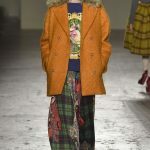 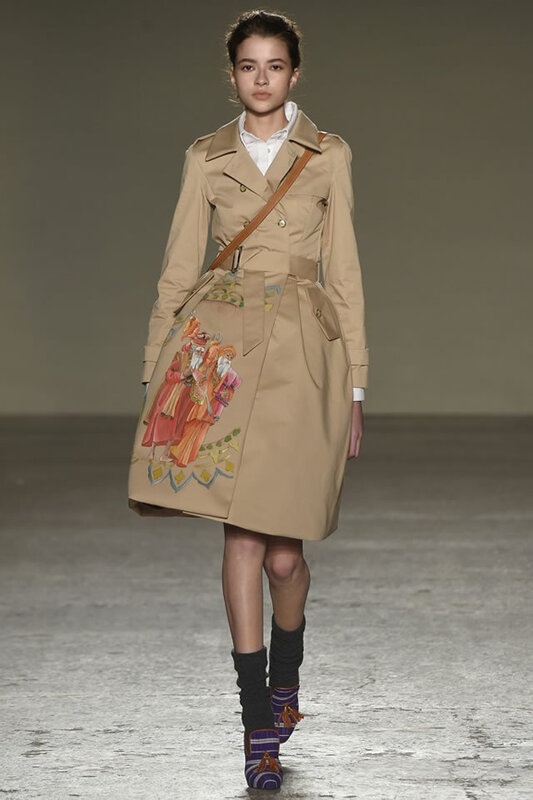 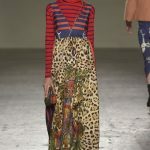 The rambunctious prints, some depicting items from a barbershop; the outsize bell skirts and ball skirts; the exaggerated men’s coats; the clash of plaids and colorful patterns it was all designed to clamor for attention. 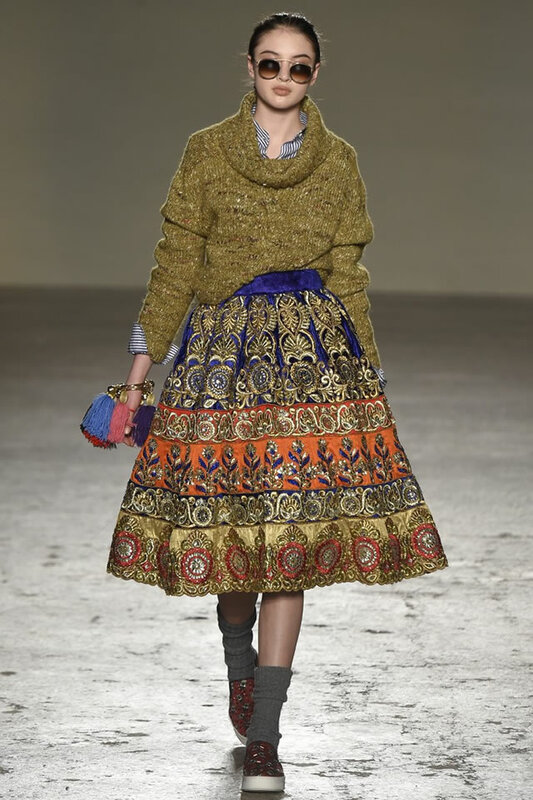 With everything screaming at once, it bordered on reading as just a bunch of noise. 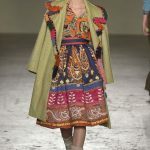 Stella Jean reputation is built on the colorful, loud and ethnically driven, this time blowing in from the Himalayas. 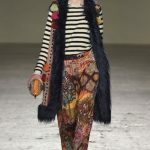 But styling that was fit for the most proud street-style peacock took Jean’s exuberance exponential. 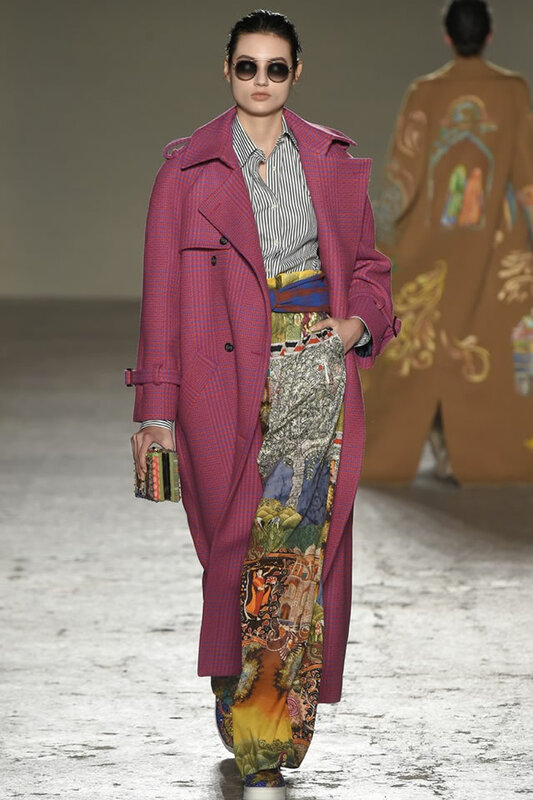 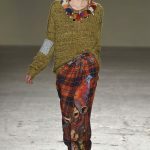 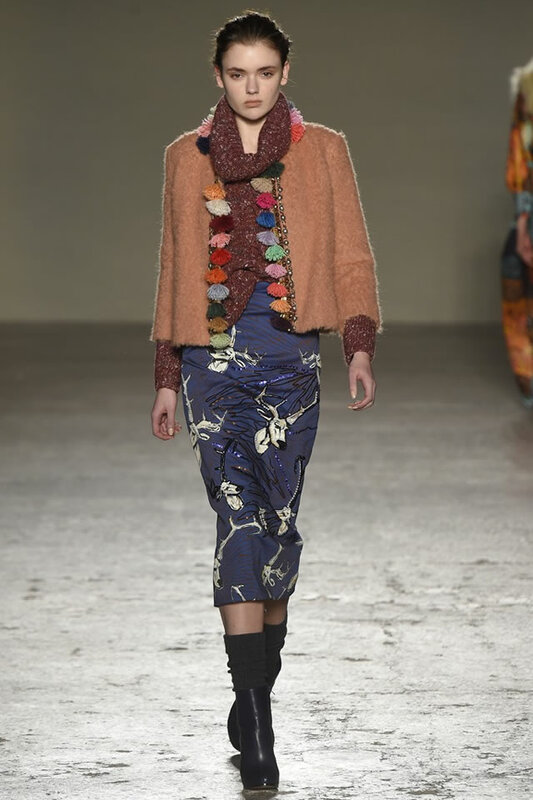 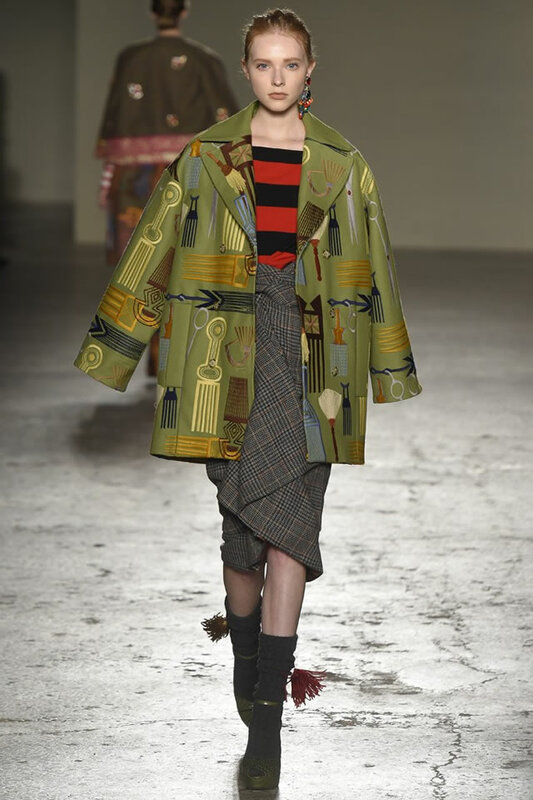 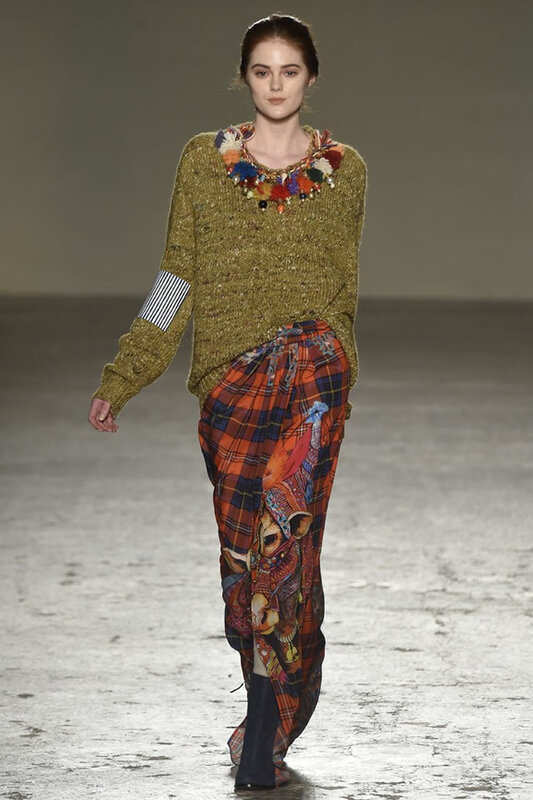 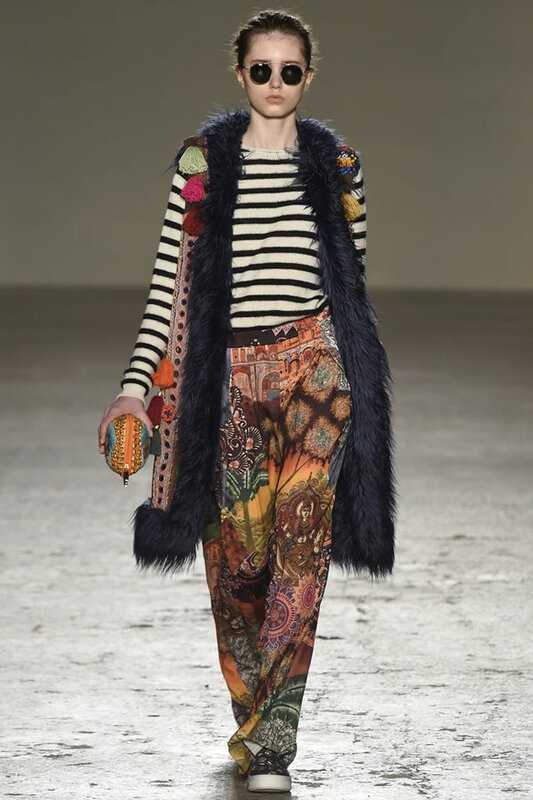 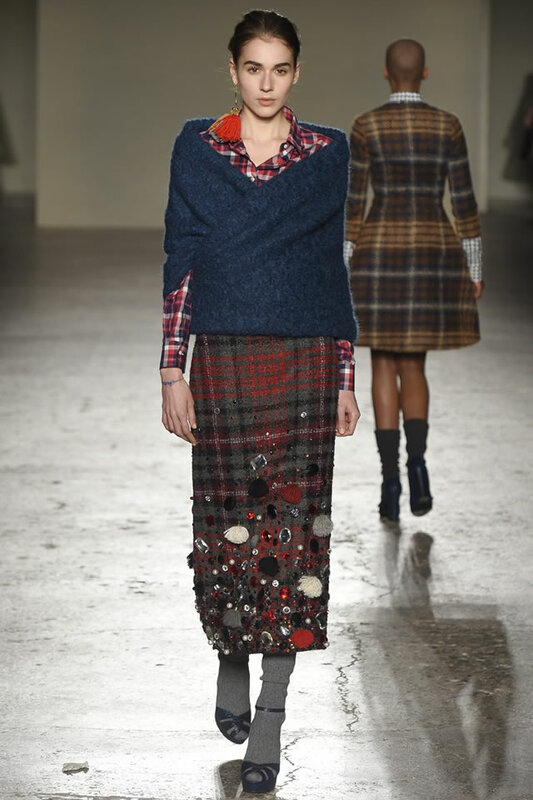 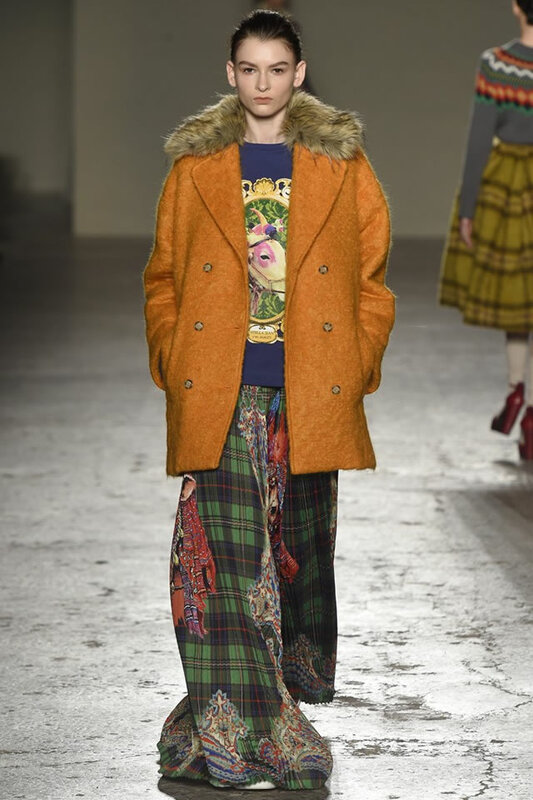 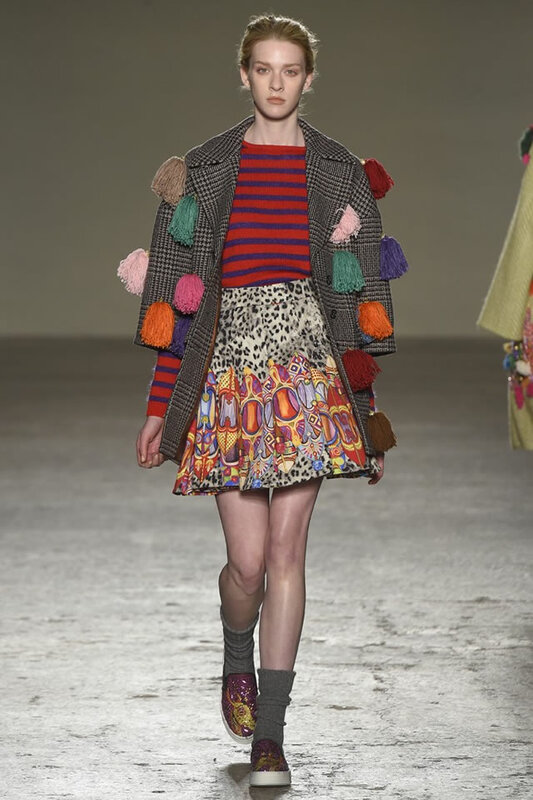 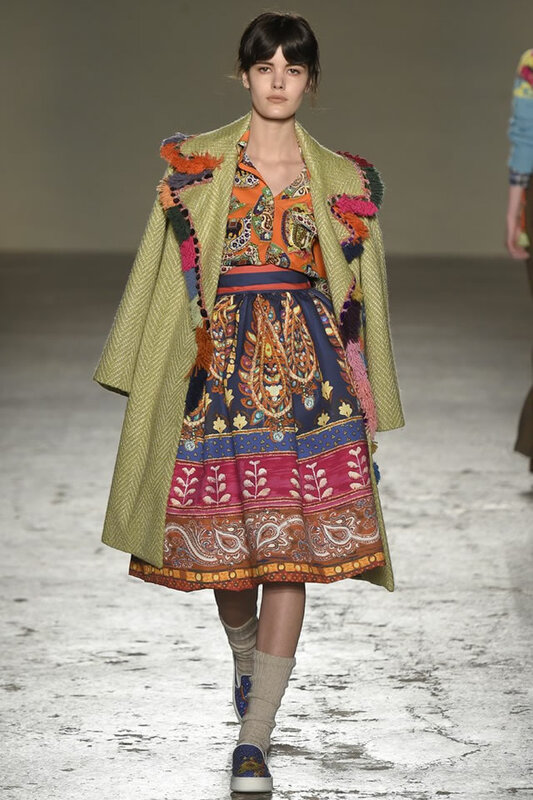 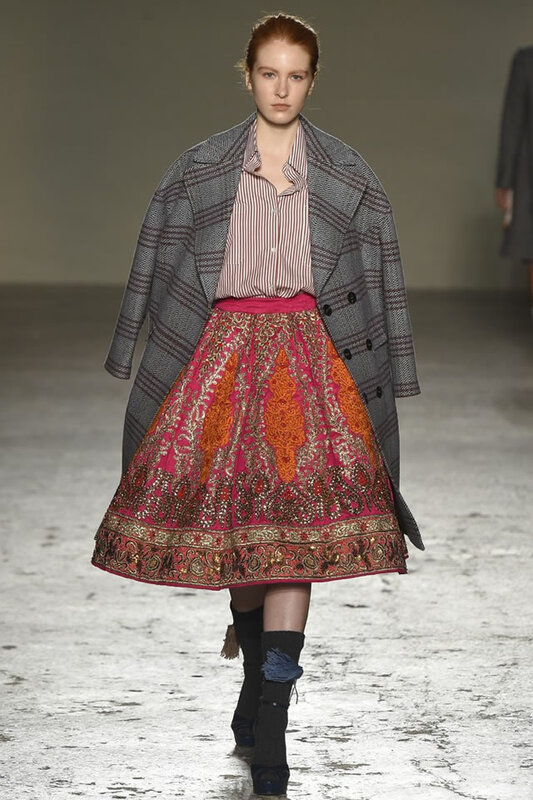 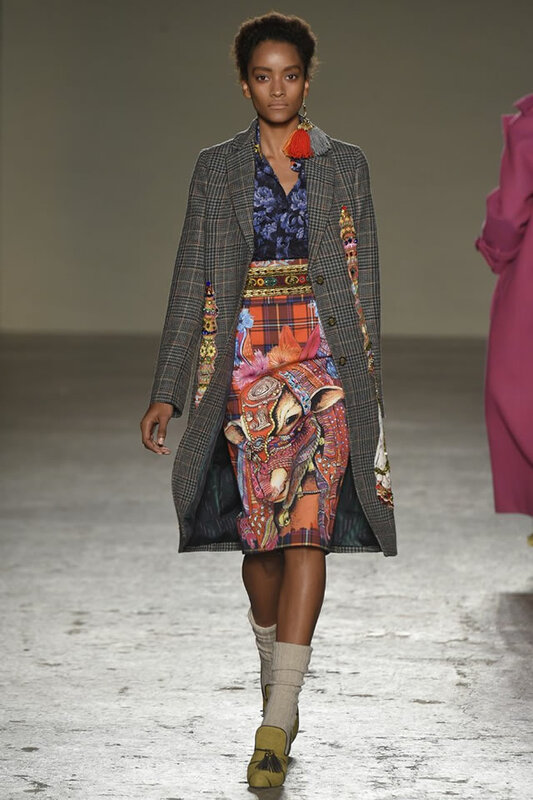 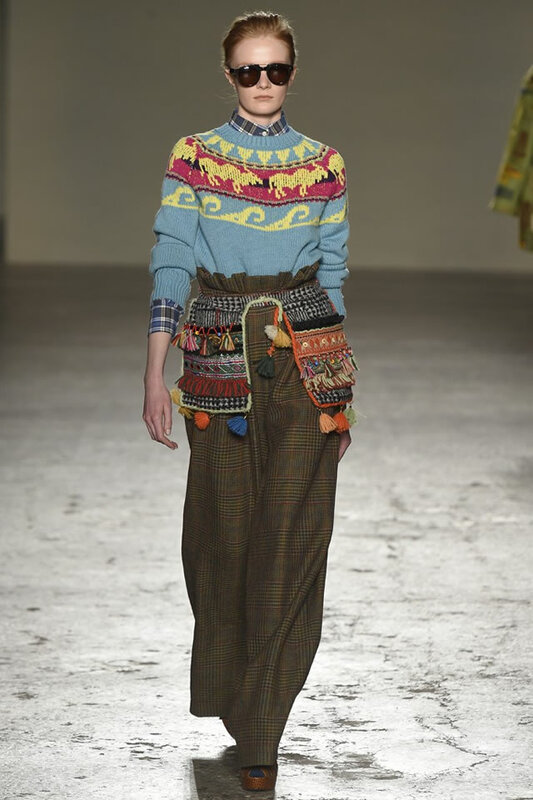 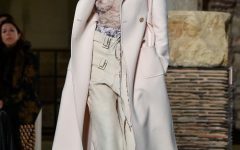 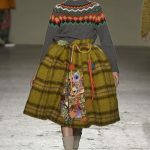 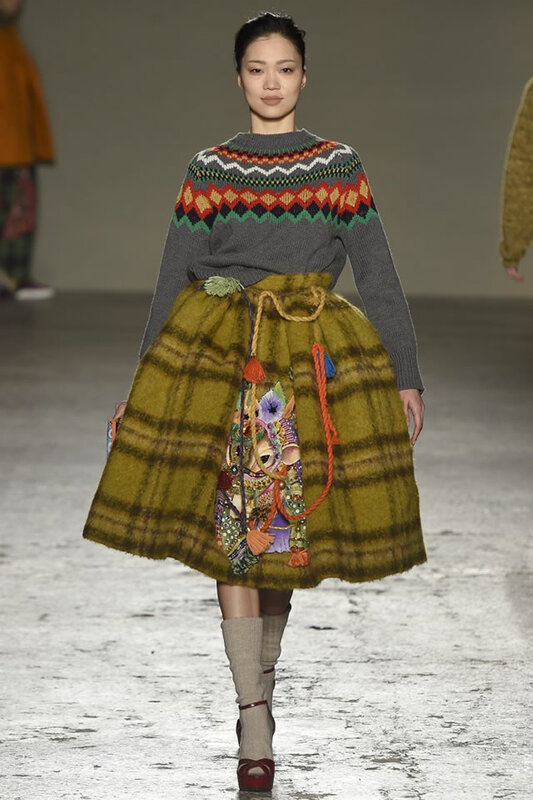 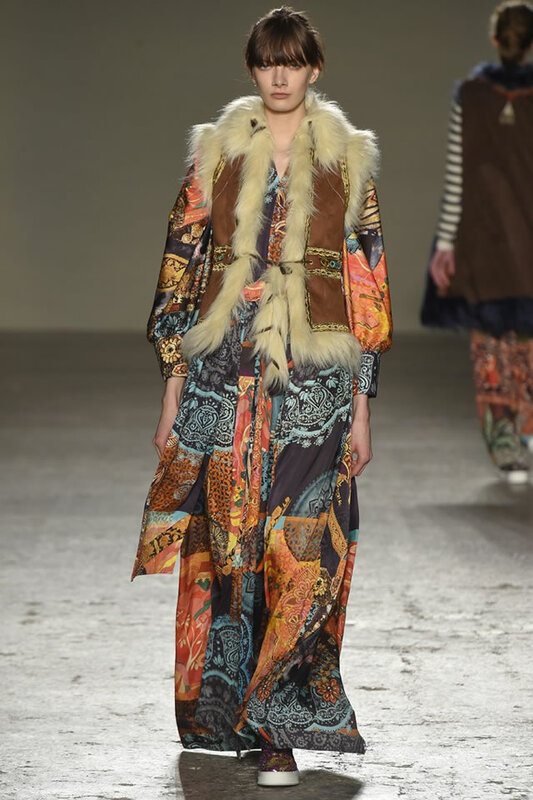 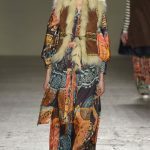 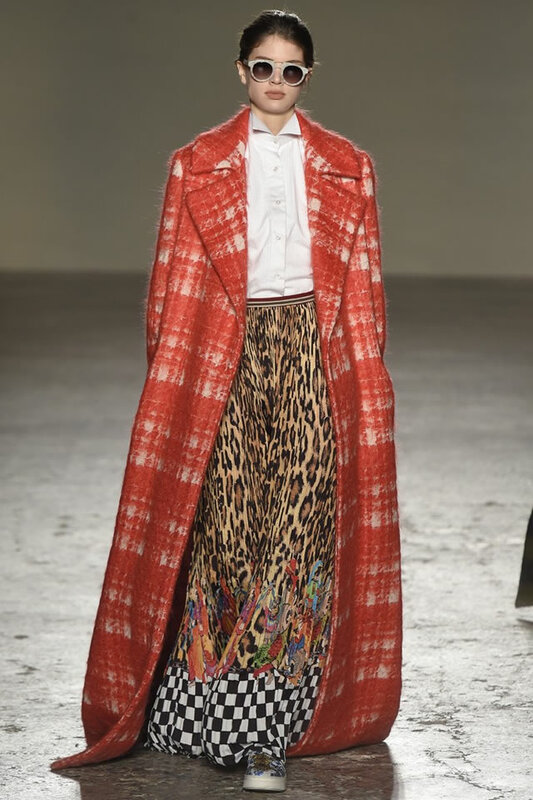 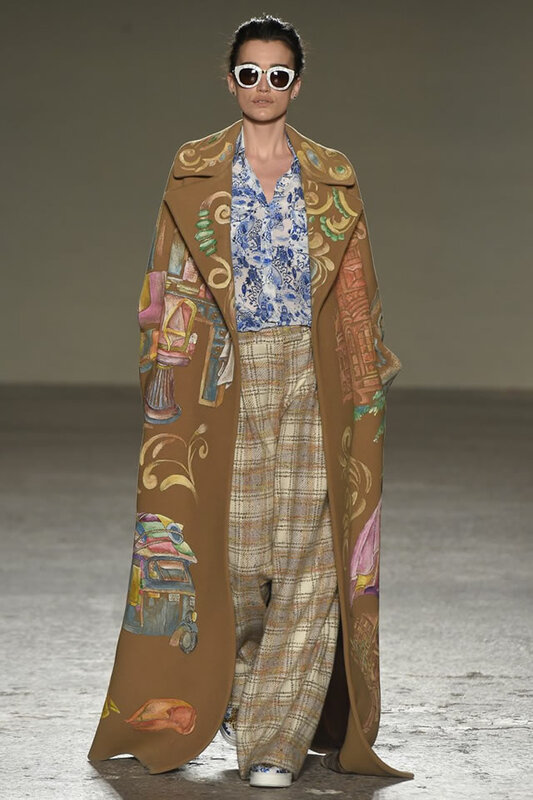 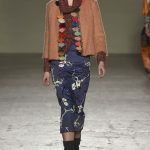 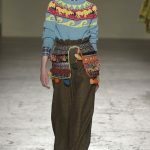 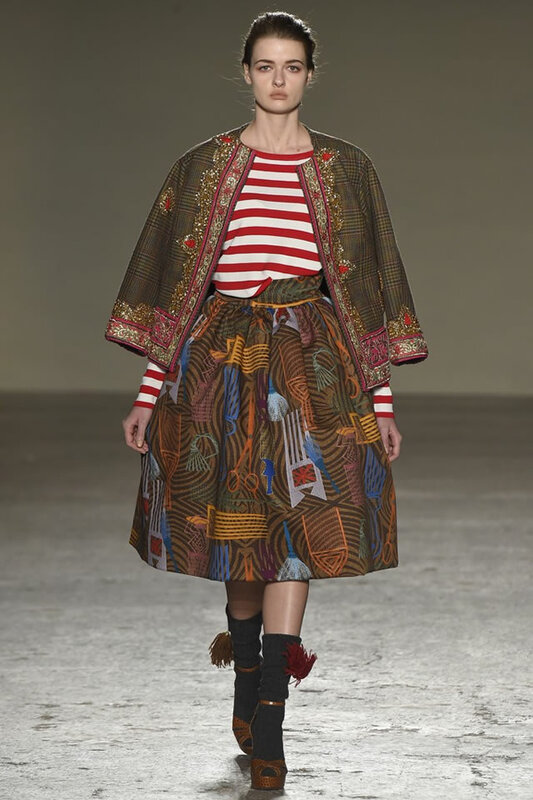 It was better to divide the looks and find the highlights, including the extra-long maxi coats in brushed plaids, the lime green herringbone coat trimmed with rainbow fringe and the red plaid skirt that dangled with a charming amount of pom-poms and big, decorative jewels.